Scientists managed to solve one of the most intriguing mysteries of water. They found out how it can store information about creatures that inhabit it. It turned out that some of organic molecules trapped in the water can be stored in it for a long time. This is strange, because in theory, they should immediately disintegrate, but for some reason it does not happen. It is traditionally believed that water medium transmits odors over long distances worse than air. The reason is that signaling molecules whose mass, strictly speaking, composes any odor, quickly disintegrate once submerged into an active solvent, even distilled water. In addition, because of the constant currents (that exist even in standing water) concentration of odor substances immediately decreases dramatically as molecules quickly spread in all directions. At the same time, biologists and chemists knew that in virtually all aquatic animals, organs of smell were developed much better than other receptors. Apparently, their work is very effective. It has long been known that a shark can smell its victim at a distance of several hundred meters. And yet, it happens in the ocean where sea water is more active than fresh water due to high concentration of salts. Recently, this paradox was resolved by a study conducted by Professor Boris Koch with the Alfred Wegener Institute of Polar Research. The scientist, using spectrometry method, made a remarkable discovery. The accurate mass spectrometer showed that single molecules of organic matter remain in the water after the breakdown for a long time. "Water has chemical "memory" that keeps information about the organisms that were once in it as single organic molecules. We learned to determine what part of the organisms these molecules were and how long they were in the water," said the researcher. According to him, the spectrometer can accurately determine the atomic structure of the molecule, and, moreover, the proportion of carbon, hydrogen, nitrogen, etc. Based on this, we can restore the shape of the molecule itself, and even determine what part of the organism it used to be. According to Koch`s study, water often retains carbohydrates and organic acids. These substances are found in most secretion emitted by the body surface, such as mucus in fish and many invertebrates. Of course, the composition of mucus and other excreta is specific to each species. Perhaps this is the reason why sharks are able to find their victims at far distance without errors. 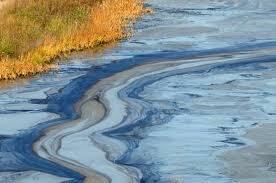 They simply follow the trail of organic molecules that remains in the water for a long time, sometimes for several days. Guided by specific odor, bloodthirsty predators immediately understand whose trail it is - harmless tuna or not so harmless dolphins. Furthermore, they were also able to determine that water retains information about an animal`s death for a long time. Some molecules of decaying bodies can be found in a place where the animal suffered death for a very long time. Apparently, they are signals for many marine scavengers such as hagfish and crabs that have poor vision, but can easily find dead creatures immediately after their death. Interestingly, Koch`s discovery so far contradicts some of the laws of organic chemistry. According to them, any organic molecule after exposure to sea water should quickly decompose into simple components, such as carbon dioxide and water. But in this case it does not happen. Why? Perhaps due to the fact that excretory substances are capable of forming complex links with water molecules resistant to any "destroyers." How long can these stable compounds live? The paper refers to a few days, but it is possible that this has to do with a limited time of the experiment. Perhaps molecular information can be stored for months or even years. This should be tested by conducting research outside of the lab, in the ocean. If so, then this technology can be used, for example, to track migration routes of various marine animals. In fact, members of AWI are planning to take samples of water near the colonies of southern elephant seals next summer in Antarctica to confirm this assumption. They are also going to work with sharks. Changing the concentration of organic matter in the water, they want to understand whether aquatic animals can navigate in the ocean "by smell," detecting an increased concentration of certain molecules. Finally, this study has yet another interesting perspective. Realizing how long water can store organic molecules, the researchers can find the limit "capacity" of the ocean as the largest reservoir of organic matter in the world. They will be able to track how much CO2 is produced in the ocean, and what comes from outside. This will help to finally get some clarity regarding the notorious greenhouse effect.